ELIZABETH DONOVAN is the daughter of John and Loretta Carew Donovan. She was born on November 22, 1936 in Dubuque County, Iowa. Elizabeth died at the age of two days on November 24, 1936. 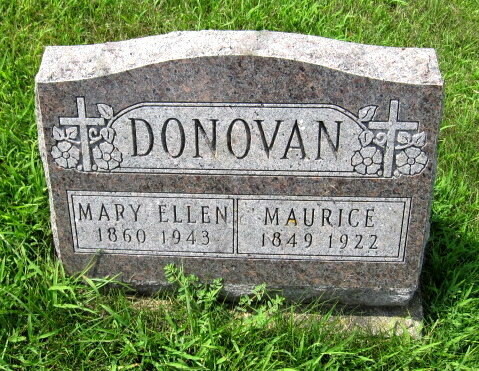 She is buried in Section A, Row 4, Stone 2 in the cemetery at Assumption Church, Sylvia Switch, rural Zwingle, Iowa.